This was originally posted in November 2010. The Campbell’s were poets at heart and when Janet Waddell Ross Campbell heard of the death of her son she started writing. This is a transcription of the poem written by Janet. High hopes withered in the dust. Thro’ oppression, hate and lust. Angels sang in concert then. May we feel that he still lives! Though his body’s ‘neath the sod. A wooden Cross they too placed there. Loving hands these graves attend. 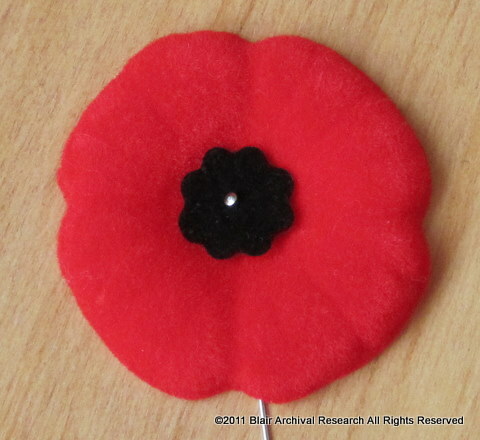 Gratefully our thanks we send. To all bereaved ones send Thy Light. Where partings cease for ever more. No more thou hearest war’s alarm. Janet Waddell Ross Campbell wrote this poem in honour of her son. She used the first line and every other line to spell out his name, Horace Gibson Leitch Campbell. After spending his leave from wartime France with his family, Horace Gibson Leitch Campbell left the home of his parents on the night of 4 June 1916. It was the eighth birthday of his niece, Norah Margaret Campbell. He was killed four days later on 8 June 1916. 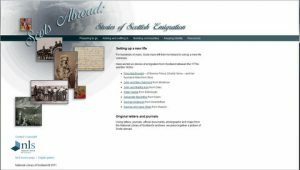 The National Library of Scotland has a website called “Scots Abroad: Stories of Scottish Emigration.” There are six stories of Scottish emigration that range from the 1770s to the 1930s. You can choose to read or listen to extracts from letters. There are image thumbnails which you can click on to view larger images. “Preparing to go” which looks at why they left Scotland, where they went and other resources to help you with your research. “Arriving and settling in” looks at the transportation taken to the new world, what occupations they undertook and how they settled into their new way of life. “Building communities” examines how the emigrants rebuilt their lives in their new homes. They look at basic necessities, spiritual needs and Scottish and local customs among other topics. “Keeping identity” looks at how the Scots kept their cultural traditions in their new homes. They tended to idealize their homeland and some returned home. The last section is “Resources” which provides printed and online resources to help you continue your research. This is a website you may want to check when researching the reasons behind your Scottish ancestor’s emigration and how they created a life in their new home.